LAUDERHILL YMCA, FL – The Florida Turnpike overpass at the City of Lauderhill has become an imposing and divisive obstacle for its surrounding communities. By introducing large scale shade structures that provide shelter and protection as much as they aim to reflect the identity of the surrounding communities, Roberto Rovira and Jacek Kolasinski, in partnership with the City of Lauderhill, the YMCA, Lauderhill 6-12, and the Community Foundation of Broward, are transforming a bridge that divides into a bridge that connects. The area surrounding the overpass is divided into two distinct neighborhoods: East Lauderhill and Central Lauderhill. 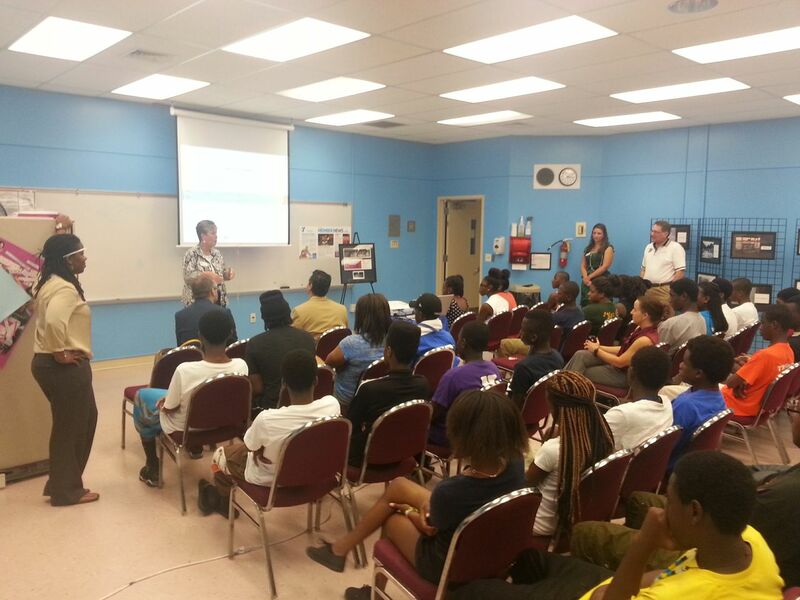 80% of the students attending Lauderhill 6-12 live west of the turnpike and walk between the two areas. The youth and the community members who use this pedestrian bridge daily are exposed to a dark, littered, dangerous crossing where many report being the victim of assaults and intimidation. 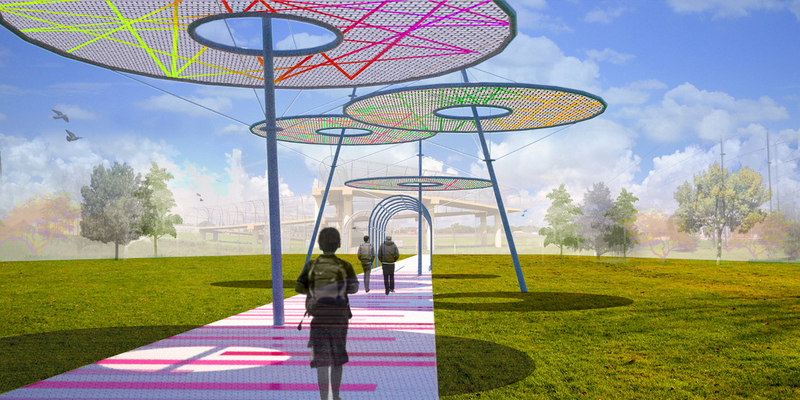 The design proposal aims to transform the area by adding much needed shade to the adjacent areas, and by transforming the chain link fences and the surrounding sidewalks with colorful textures that are derived from various workshops conducted with members of the Lauderhill community.